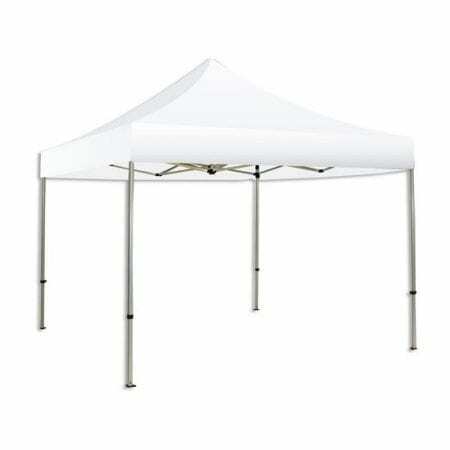 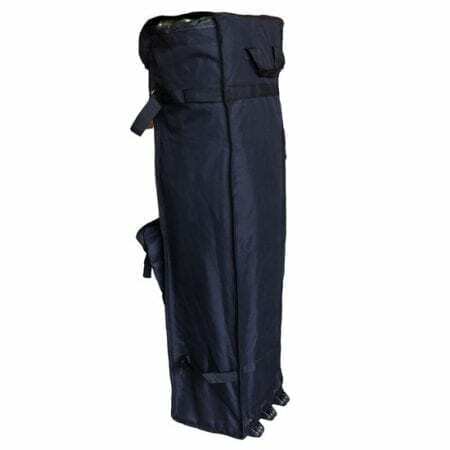 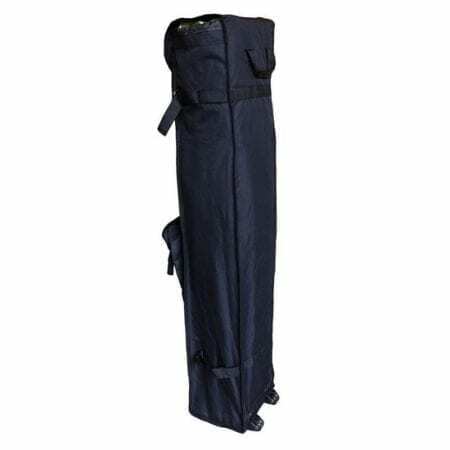 Looking for a simple and quick set up tent for an outdoor event? 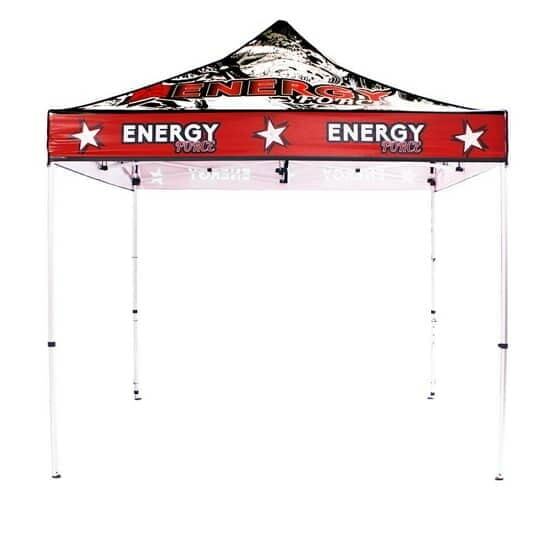 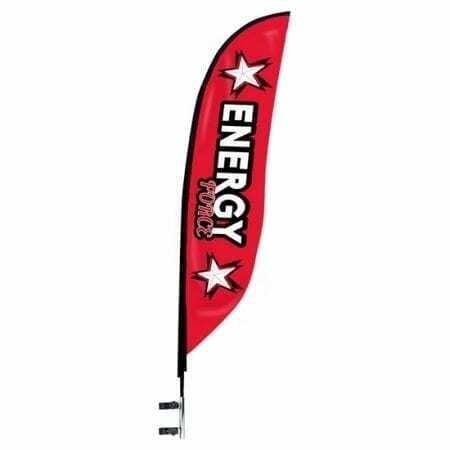 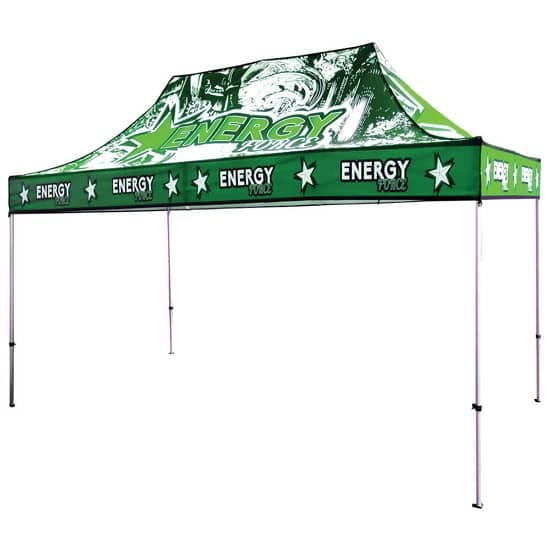 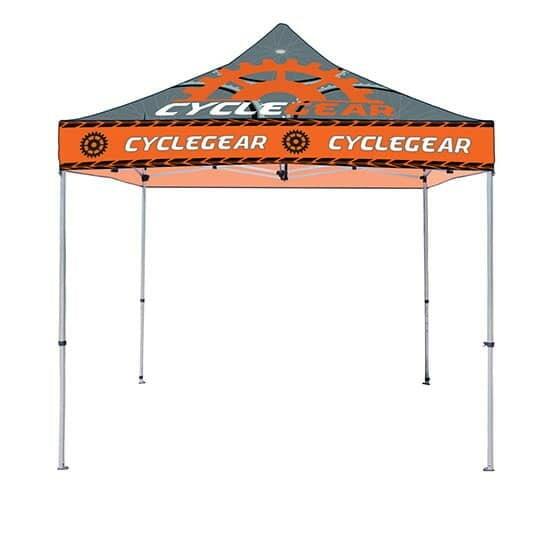 Easily brand your promotion with our lightweight and durable Trade Show Tents:10′ x 10′, 10′ x 15′, 10′ x 20′, 5′ x 5′. 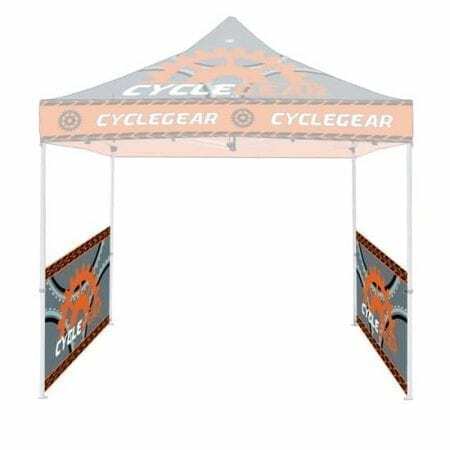 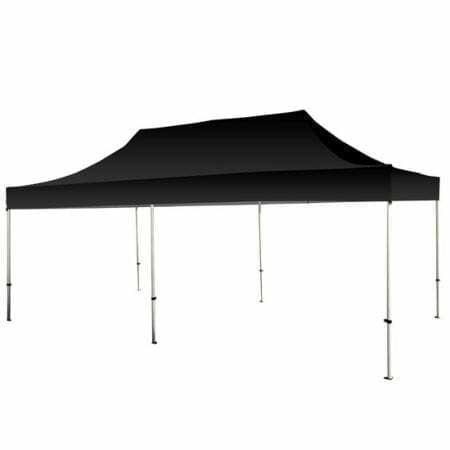 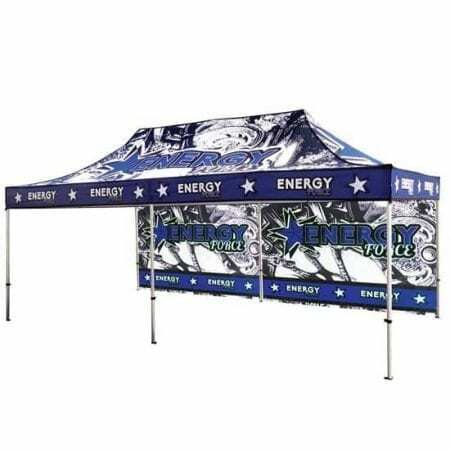 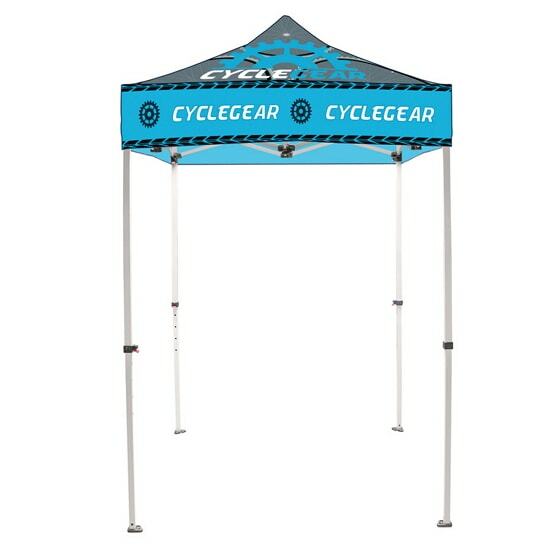 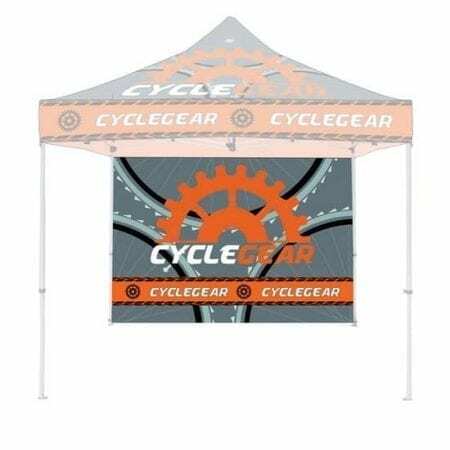 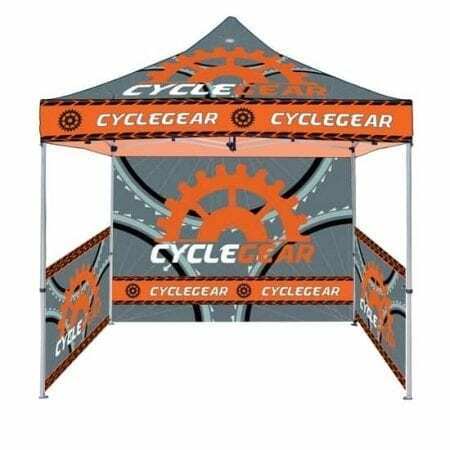 When you purchase our Solid Color/Logo Canopy Tents or our Custom Full Color Printed Canopies, they serve as an excellent way to provide shade for outdoor events. 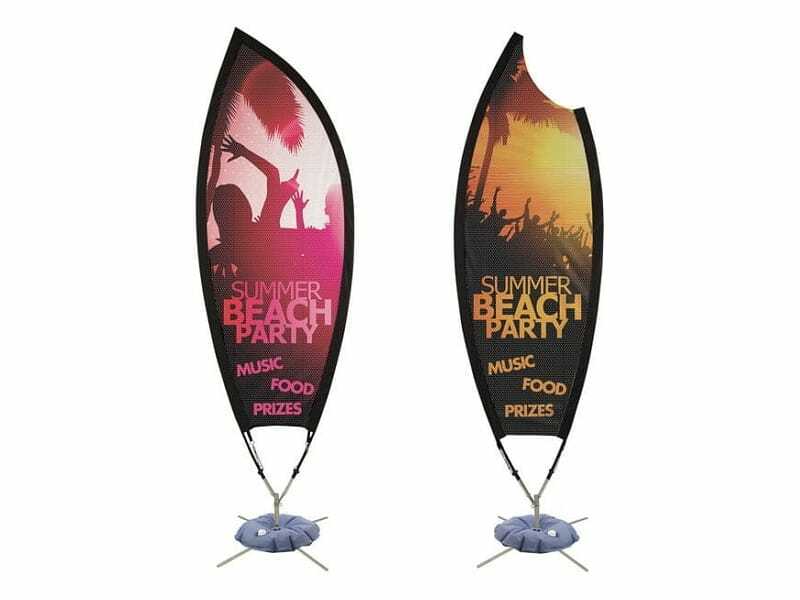 The graphic is printed on special water-resistant material and dries immediately during the even more special UV-cured printing process. 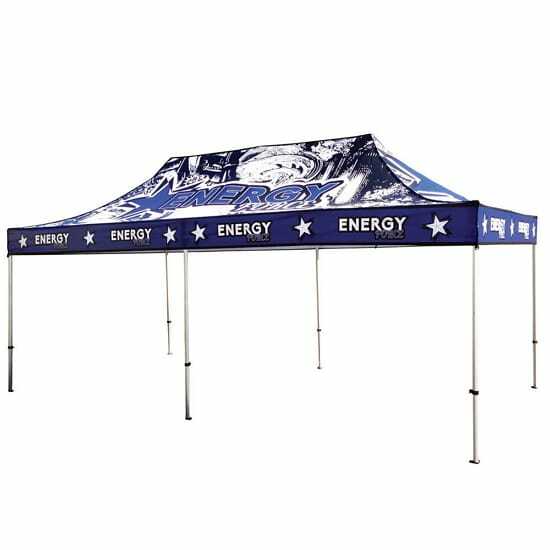 Finished prints appear shiny and vivid and have added protection against natural elements. 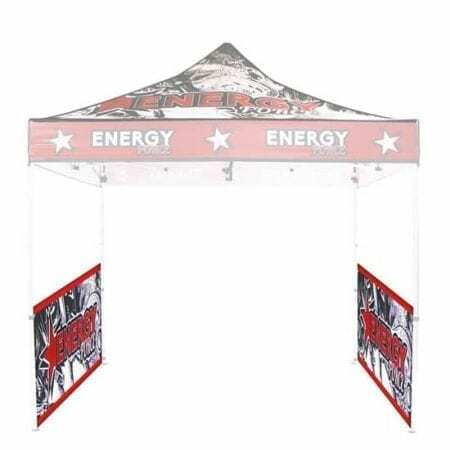 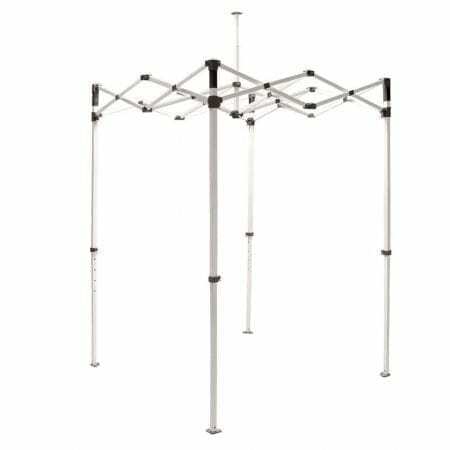 Our line of canopies are available in three (3) sizes; 10 ft, 15 ft and 20 ft, with five different heights ranging from 10.5 ft. to 11.25 ft. tall. 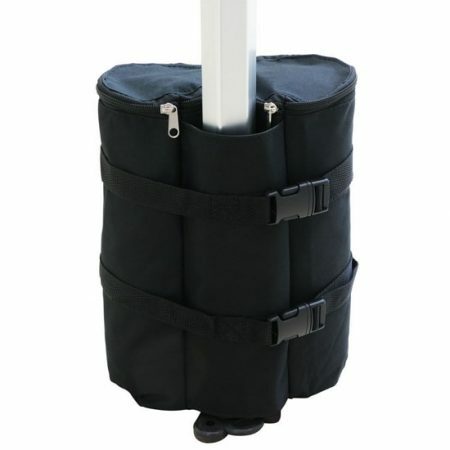 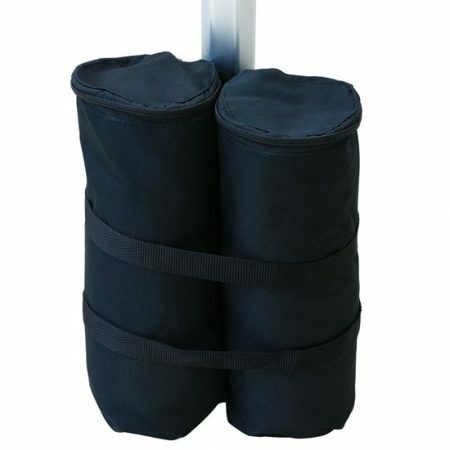 Telescopic legs snap into place. 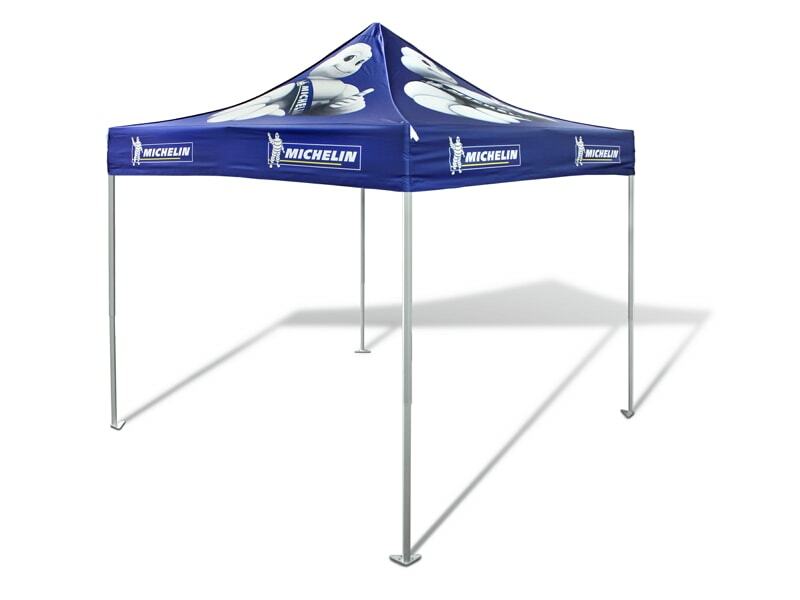 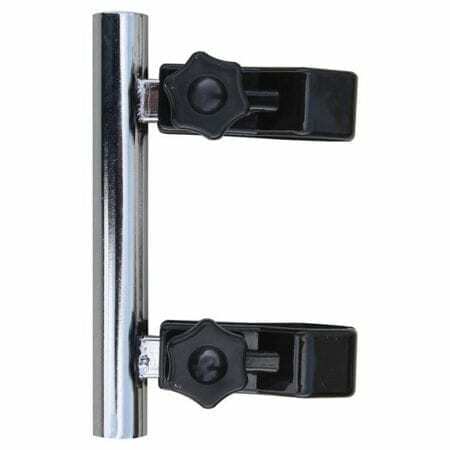 Aluminum Frames are 40mm in thickness and the Steel frames are 28mm thick. 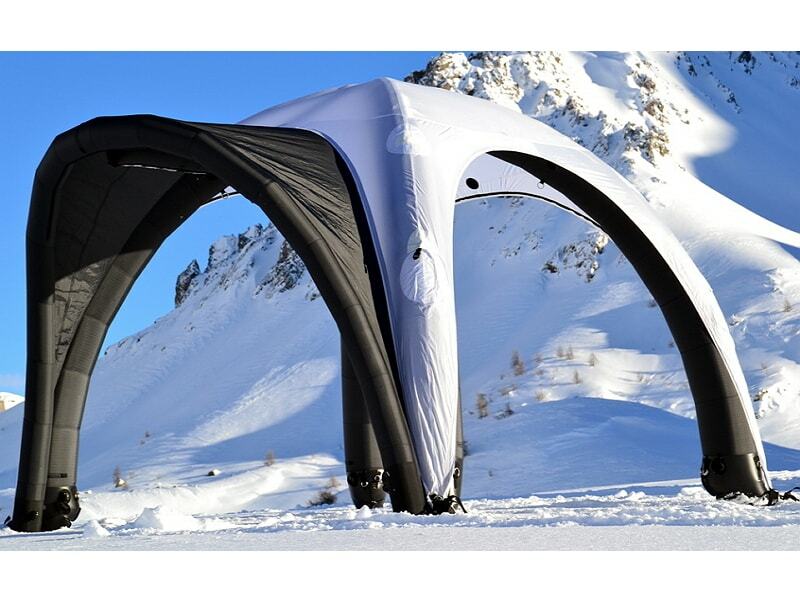 New Tent material now available! 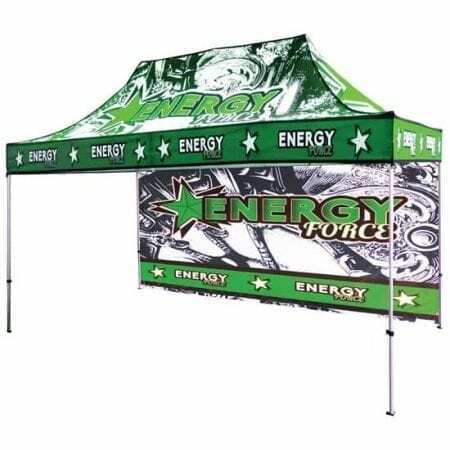 Water Resistant, Vivid Colors, an a High Quality Finish. 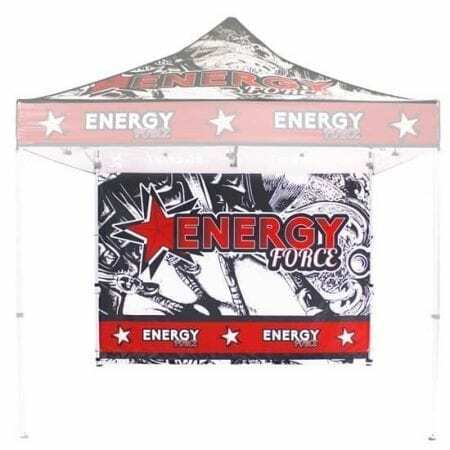 Add your own custom print to all or part of your Trade Show Tent! 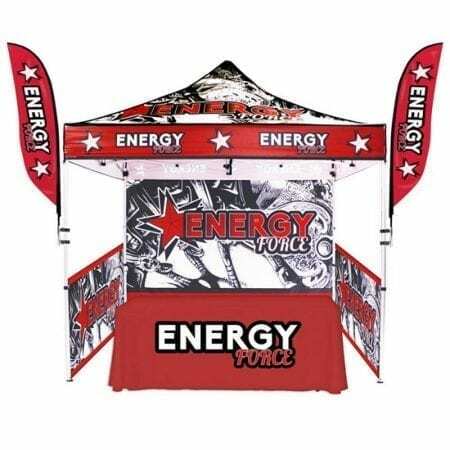 Our Street Marketing page is the place to go for a large selection of customized canopy tents and other outdoor displays. 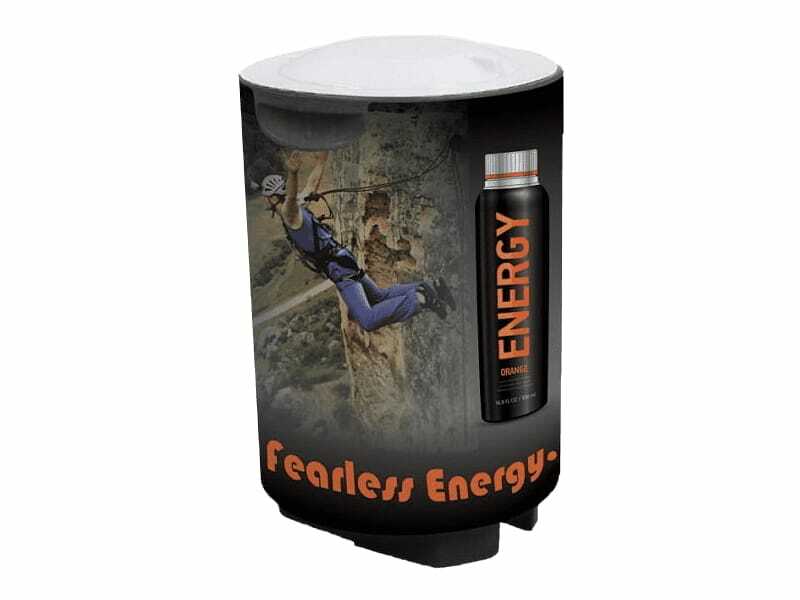 You can customize to create a display to meet your needs. Below are some examples, click on the images for more information.